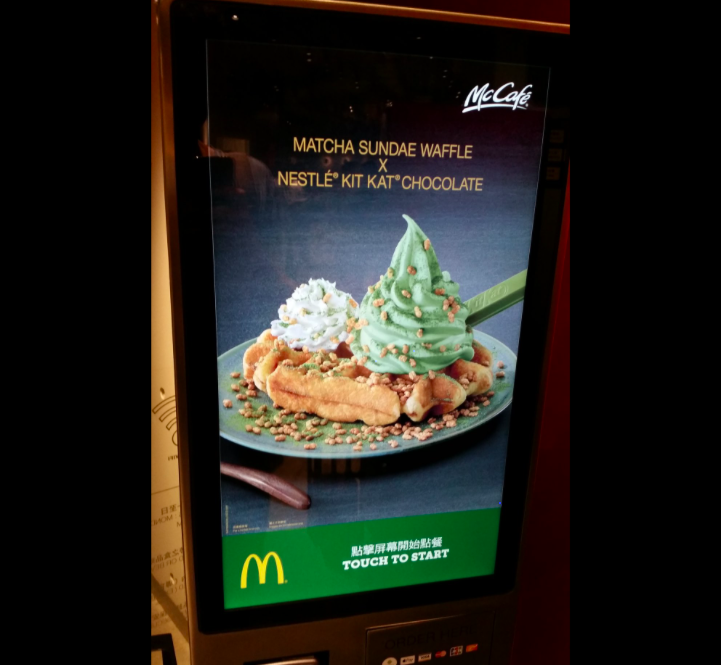 Two things we never thought we’d see in the same sentence: McDonald’s in Hong Kong launched matcha soft serve, and it looks like the best mash-up of ~ultra luxe~ and food we can buy for $1 and not feel bad about shoving in our faces gratefully in record time. According to a snack blog (um, yeah, we want that job too), matcha is a popular flavor in Hong Kong, but it’s the sort of thing we Americans pretty much exclusively see in bougie lattes, so it’s still pretty alluring. There’s a variety of different ways they offer this matcha soft serve, but obviously, there’s one sundae to rule them all. 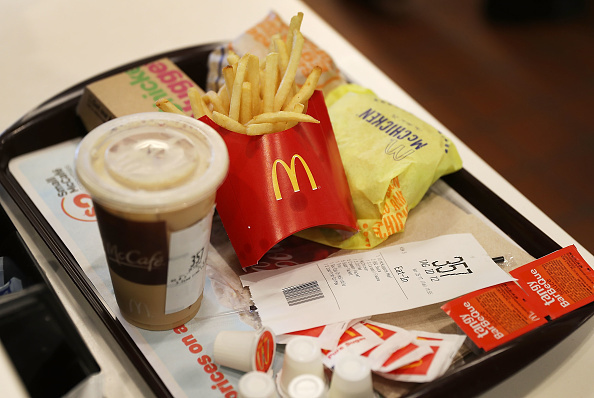 In case you didn’t know, the U.S. is basically the worst place to eat at McDonald’s. The new food items we’re occasionally offered pale in comparison to legendary concoctions that appear elsewhere, like the Stroopwafel McFlurry in the Netherlands (having eaten it, it’s so worth it. Oh god, it is so. worth. it.) Or the McNoodles you can find in Austria. But back to the Mickey D’s at hand. You can ALSO get a matcha sundae with KIT KATS. Like, we don’t know who’s coming up with this stuff, but they know us so well. There are so many reasons one might want to visit Hong Kong, and there are also probably dozens of stereotypes about Americans visiting foreign countries and eating at American chains, but we can’t deny — we kind of want to go to Hong Kong to try this now.